REDONDO BEACH, Calif., Feb. 19, 2016 -- The public is invited to witness remarkable never before seen views of NASA's James Webb Space Telescope in the new Discovery Channel documentary film "TELESCOPE," by Oscar-nominated filmmaker Nathaniel Kahn. 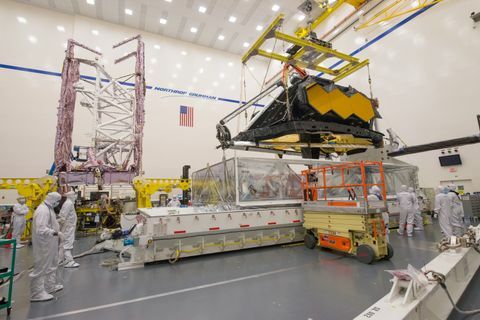 Northrop Grumman Corporation (NYSE:NOC) provided Kahn with behind the scenes access to its Space Park facility in Redondo Beach, where a substantial amount of the design, engineering, assembly and testing of the Webb telescope is taking place. "TELESCOPE" spotlights the high-stakes mission of building the Webb telescope. It will premiere on Discovery Channel Feb. 20 and Science Channel Feb. 21 (check local listings for air times). "TELESCOPE" gives viewers access to testing on the tennis court sized-sunshield, the optical class spacecraft structure and the telescope structure responsible for holding the Webb 18 hexagonal primary mirror segments stably in space. The documentary film, also supported by the Northrop Grumman Foundation, highlights the innovative Starshade concept, being studied by Northrop Grumman, NASA, and others. It is a mission using a large screen, shaped like a set of flower petals, which would fly thousands of miles in front of a space telescope. It would eclipse different stars as needed to study planetary systems around the closest stars and perhaps find signs of life. The exploration of stars and planets are highlighted in Kahn's documentary film as well. "TELESCOPE" is a comprehensive look at the dynamic history of 400 years of telescopes starting with Galileo in 1609. The Webb telescope builds on Galileo's journeyâ looking at the beginning of the universe, and that voyage continues as it prepares to launch the Webb telescope 1 million miles away from Earth in 2018. The Webb telescope, which is the scientific successor to the Hubble and 100 times more powerful, will peer back over 13.5 billion years into the past. 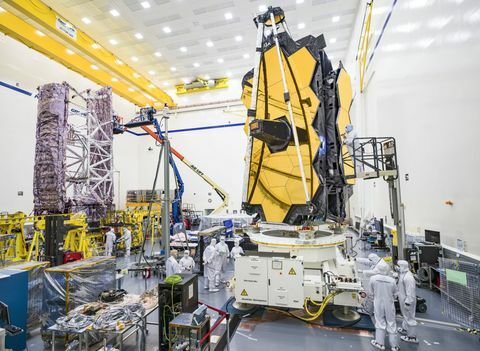 Northrop Grumman is under contract to NASA's Goddard Space Flight Center (GSFC) and leads the industry team that designs and develops the Webb's telescope, sunshield and spacecraft. Northrop Grumman has completed the integration, testing and delivery of the telescope structure, which holds optical assemblies of the telescope including its instruments and mirrors. The 18 hexagonal segments, recently installed at GSFC, that comprise the 21.3 foot mirror will assist scientists' observation of the formation of the first stars and galaxies. 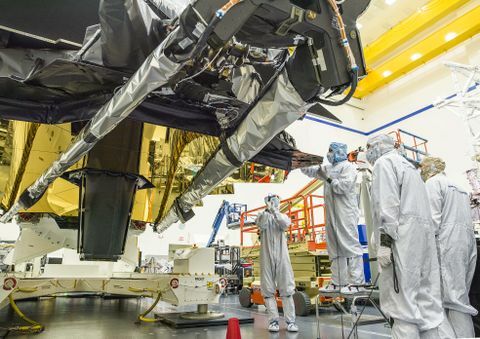 "It's tremendously exciting to be part of the company helping build NASA's most powerful space telescope. Webb could transform our understanding of the universe and be the first mission to reveal signposts of life beyond our solar system," said Blake Bullock a director at Northrop Grumman Aerospace Systems in Redondo Beach, who is featured in the documentary. "Having the opportunity to inspire future generations of engineers and scientists through our participation in this documentary is immensely rewarding." 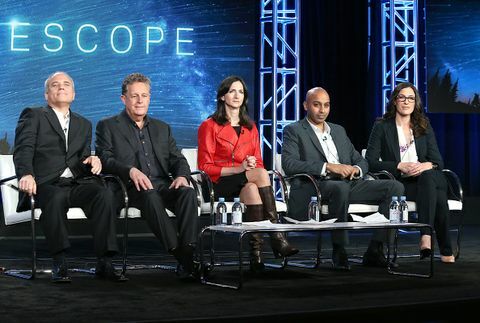 Bullock recently participated in Discovery Channel's press conference for "TELESCOPE" during the Television Critics Association Conference in Pasadena Jan. 7. The event included an unveiling of a first look at the footage of the film and a panel of experts featured in the film from Northrop Grumman, the Space Telescope Science Institute, the Association of Universities for Research in Astronomy and the Massachusetts Institute of Technology. "The breakthrough technology of NASA's James Webb Space Telescope pushes us into new frontiers of scientific discovery, and we're thrilled to continue sharing that message with the world through this documentary film," says Scott Willoughby, vice president and James Webb Space Telescope program manager, Northrop Grumman. "Participating in this documentary is important to us because it shares the gift of science, engineering and technology to a broader audience."